We wanted to share information that was relevant to African Descended People living in Nova Scotia. We have adapted the following information from the US Center for Disease Control’s NCHHSTPHealthDisparitiesReport1107 was written targeting African Americans among other communities experiencing disparities in health. 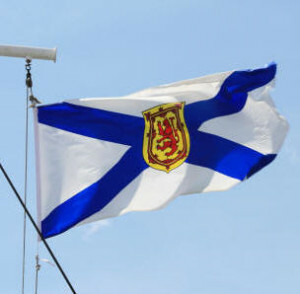 We have also added excerpts from the NS_HIV-AIDS-Surveillance-Report on HIV/AIDS in Nova Scotia:1983-2011 (Population Health Assessment and Surveillance). Though most STDs (or STIs) can be easily diagnosed and treated, many have no noticeable symptoms, and infected individuals may not seek testing or treatment. As a result, many infections go undetected. Without treatment, individuals with STDs (or STIs) are at risk of serious health problems, such as infertility. Also, individuals who are already infected with STDs (or STIs) are at least two to five times more likely than those who are uninfected to acquire HIV infection. STDs (or STIs) affect people of all races, ages, and sexual orientations, though some individuals experience greater challenges in protecting their health. STDs (or STIs) take an especially heavy toll on African descended people, particularly young women and men. In the U.S. for example, blacks represent just 14 percent of the U.S. population, yet account for approximately half of all reported chlamydia and syphilis cases and almost three-quarters (approx. 75%) of all reported gonorrhea cases. A range of factors contribute to the disproportionate impact of STDs (or STIs) among African Descended People. Despite recent success in the prevention and control of STDs (or STIs), some people are at greater risk of infection than others. When risk behaviors are combined with barriers to quality health information and STD prevention services, the risk of infection increases. To ensure that individuals have the opportunity to make healthy decisions, it is essential to address both the individual and social dynamics that contribute to their risk for STDs (or STIs). While everyone should have the opportunity to make choices that allow them to live healthy lives regardless of their income, education, or racial/ethnic background, the reality is that inadequate resources and challenging living conditions make the journey to health and wellness harder for some, and can lead to circumstances that increase a person’s risk for STDs (or STIs). 1 Laumann EO., et al. Racial/ethinic group differences in the prevalence of sexually transmitted diseases in the United States: a network explanation. Sexually Transmitted Diseases. 1999 May;26(5):250-61. 2 Institute of Medicine. The Hidden Epidemic: Confronting Sexually Transmitted Diseases. Washington, DC: National Academy Press; 1997. 3 Hogben M, Leichliter JS. Social determinants and sexually transmitted disease disparities. Sexually Transmitted Diseases. 2008 Dec;35(12 Suppl):S13-8.